The Department of Energy has introduced a three-phase contest that seeks to encourage U.S. entrepreneurs to identify technology platforms to collect, store and transport discarded lithium-ion battery products for recycling. DOE said Thursday its Battery Recycling Prize competition will offer $5.5M in cash prizes to contestants who will aim to develop and demonstrate systems. 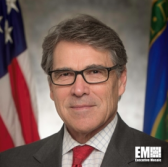 “America’s dependence on foreign sources of critical materials undermines our energy security and national security,” said Energy Secretary Rick Perry. Perry added the department will use contests and services from the private sector, universities and the national laboratories in recyling technology development efforts. The department also invested $15M to establish the Battery Recycling R&D Center and said it will use the facility to build platforms designed to capture 90 percent of lithium-ion batteries throughout the country. DOE's Argonne, Oak Ridge national laboratories as well as the National Renewable Energy Laboratory will jointly operate the center. President Donald Trump issued Executive Order 13817 in late 2017 as part of his administration's efforts to ensure the security and reliability of critical mineral supplies.